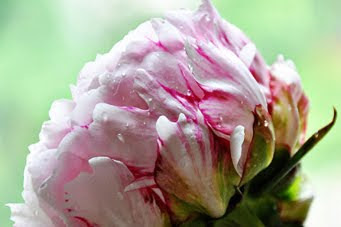 Right now, my peonies in the garden are in full bloom! And, there are loads of them. I think these might be my favorite flower ever. Not only are they gorgeous, but they smell amazing. The only down side is that bringing them into the house, can also bring in lots of ants. 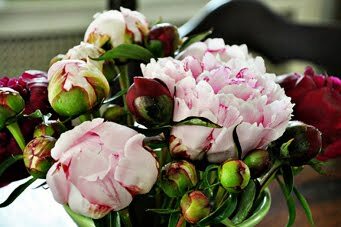 Because the variety of peonies I grow release a sweet nectar from the buds, teams of ants come from all over the garden to eat it. Once, the buds have opened, they leave. To avoid bringing them indoors, I cut the flowers & then swish them around in a sink full of water. Not only does this separate the ants from the plants, it also washes off any remaining nectar, on the unopened buds, so that they will open indoors. I really wish I had these all year long. 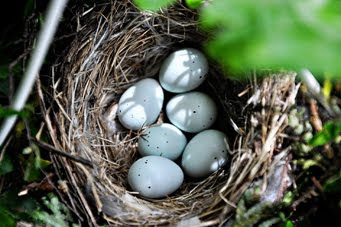 I'm also throwing in this picture of some Robin's Eggs...found in my neighbor's yard. We always get alot of late spring rain that hammers them down, but not this year! I found mine at a garage sale for $2 bucks each, score! But now that I see how great they work, I would have paid much more. I am so getting some! These are beautiful photographs, Kate! 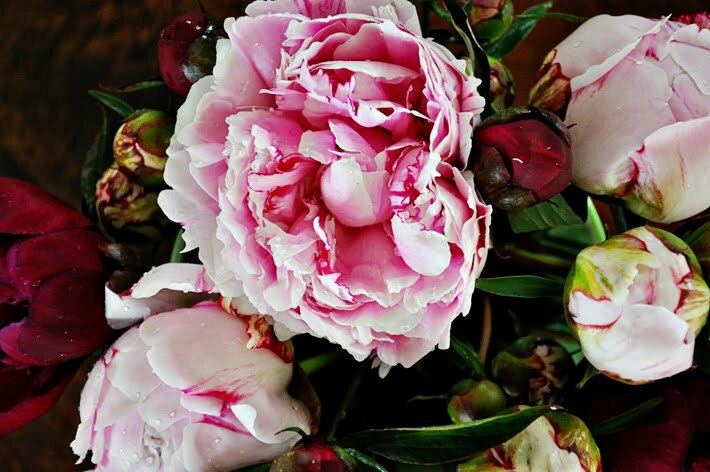 I agree you can beat peonies for their delicious scent and pure lushness. 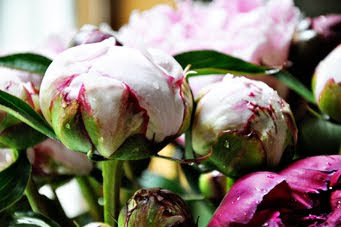 I like recommending them to my clients who desire flowers but have problems with deer, rabbit or groundhogs. 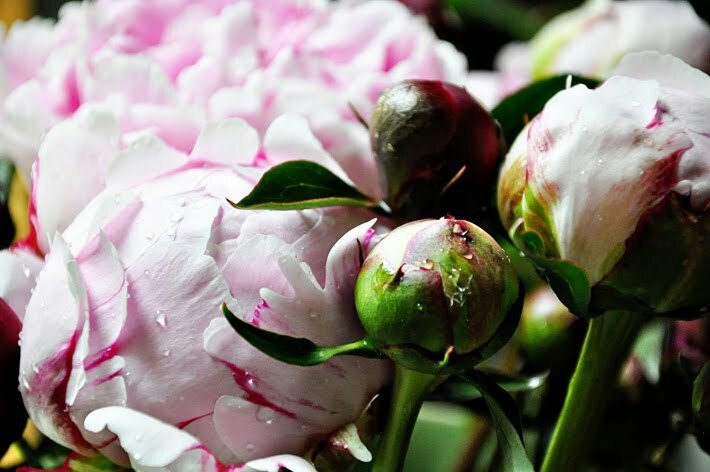 Peonies are yucky to these pests. 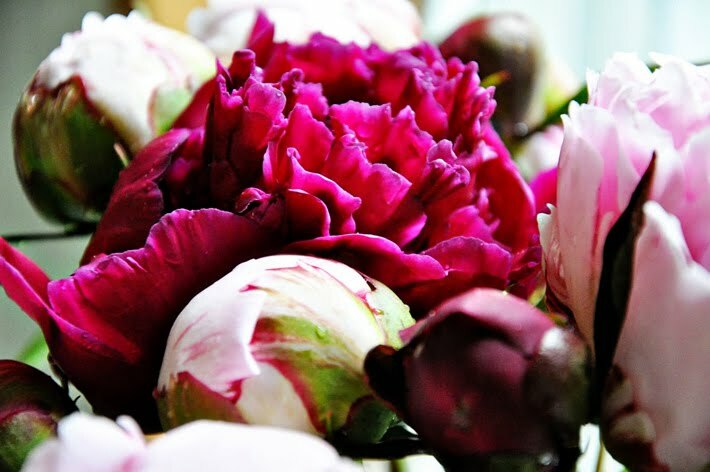 peonies are my favorite favorite flower. usually blooms around my birthday, beginning of June. I have full blown blooms in my garden right now..early right? Leslie sent me the Norwalk online news article about your blog! It truly is so inspiring and something I look forward to everyday!!!! Karen~Nice seeing you at Gilberties today :) just checked out your site! love it! They're beautiful! I can't wait for mine to bloom - and we have a new plant coming up this year, too! I just posted last week about the exact same topic, having the exact same problem, ants. But I still think its worth the trouble since they are so fleeting and the smell is heavenly. Although seeing yours I wish I had planted pink ones instead of the white. Maybe next spring.